Diane Barriere is an international yoga teacher who leads yoga retreats, teaches group yoga classes, Aireal Yoga, corporate yoga, chair yoga, partner yoga, yoga parties, fundraisers, workshops, festivals and is a level 1 Reiki Healer. She has been practicing yoga since 2000 and has been teaching since 2006. She has been a pose demonstrator on "Yoga for Life" on the Veria network and successfully small-scale released her own yoga DVD, audio meditations, jewelry line, and yoga clothing. Diane mixes several types of yoga into her teaching style, including Vinyasa and Iyengar, paying special attention to technique, alignment, safety, and having fun! She loves how anyone, of any age, of any body can practice yoga. She even met her husband in a yoga class. The first time I stepped on a yoga mat I was a full-time student at the University of Texas at Dallas, working a part time job, doing performance dance, and having an active social life in what little spare time I had. Since I had danced from the age of 4, I always considered myself to be in shape but knew I was starting to develop issues in my neck, back and knees. I was also going through some emotional turmoil, cutting myself, and suffering from insomnia. In college I was diagnosed with an anxiety disorder, borderline personality disorder, and borderline chronic depression. I was trying to avoid needing medication (as was being suggested to me) and was looking for alternate options. In 1999, my sister took me to my first yoga class at the Dallas Yoga Center. It was a 90 minute Vinyasa class, using props. From that first class, I felt a difference mentally, spiritually and physically. I slept a full night for the first time in months. I was hooked. With regular practice (and no medication) my knees, back and neck didn’t hurt so much, and eventually the pain went away all together. My posture was better. I started to eat better and stopped smoking without even trying to. I stopped cutting myself. I shared my practice with my fellow dancers, using the salutations as a warm up before we went on stage, and discovered I enjoyed teaching yoga. In 2003 I was hired as a dance instructor at Bishop Lynch High School and after 2 years of teaching I decided, not only would I rather teach yoga, but these students would benefit far greater from it. So I created and instructed the yoga program there for one year and it was the greatest thing I could have done for them and for myself. I had to reach out to teenagers and make them understand this wonderful practice. It was so rewarding to see their progress and hear their stories about how breathing helped them stay calm for an exam, headstands helped them stay alert for studying, how their pets would join them at home while they did downward facing dog. After leaving Bishop Lynch, I discovered American Power Yoga and its creator, Kurt Johnsen. I proceeded to get my 200 hr certification through his studio. Since then, I have grown so much. I have taught in so many places and have met the most amazing people. I practice yoga everyday, applying it to my everyday life. I continue to learn and am now certified in Chair Yoga and AIReal Yoga and am a Level 1 Reiki Healer. 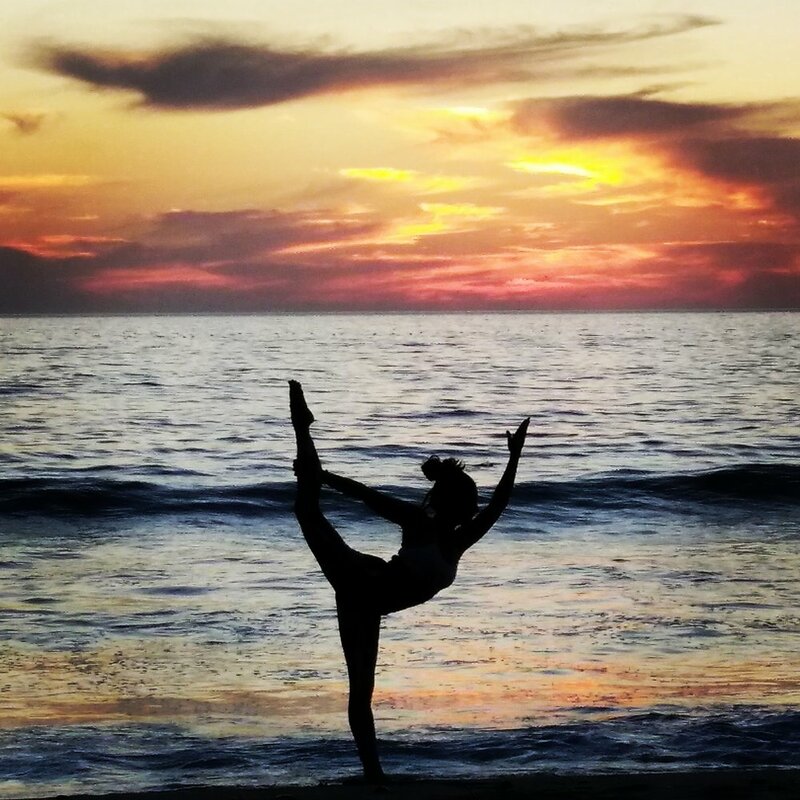 In 2015 I started doing yoga retreats to great, life-changing success. We even sold everything and lived in Costa Rica for the summer of 2016. I love the freedom of yoga. How you can discover and be your true self. How it can translate into our everyday lives and help in so many ways. Thank you for taking the time to learn a little more about me. Peace and Namaste.